Unitor Gamazyme? Digestor is a patented formulation containing a synergetic blend of highly specialised bacteria. 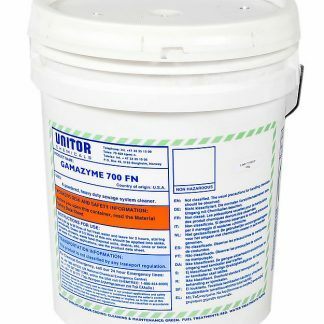 The mix of micro-organisms in this product increases organic degradation performance. 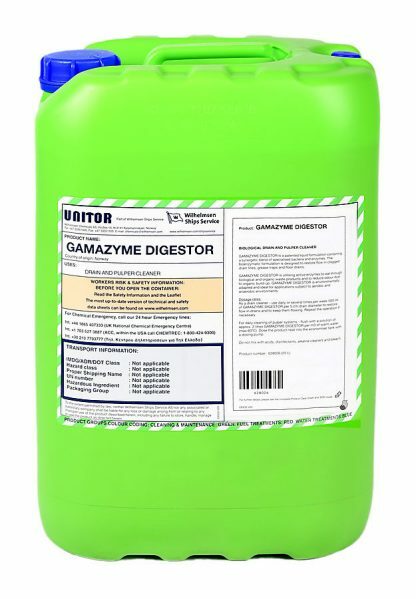 Utilising active enzymes to eat through biological and organic waste products, Unitor? Gamazyme? 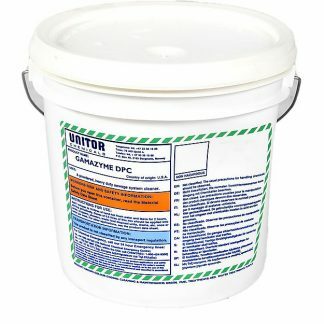 Digestor is a safe and non-corrosive product used to restore flow in drains where grease accumulation is a problem. Unitor? 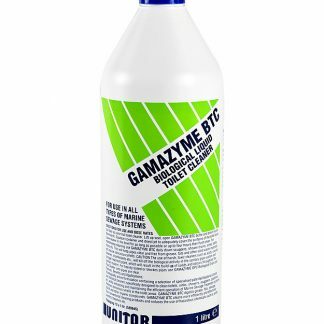 Gamazyme? Digestor’s biochemical formulation is designed to provide exceptional performance in clogged drain lines, grease traps and floor drains. It restores slow running drains and reduces odours due to organic build-up.